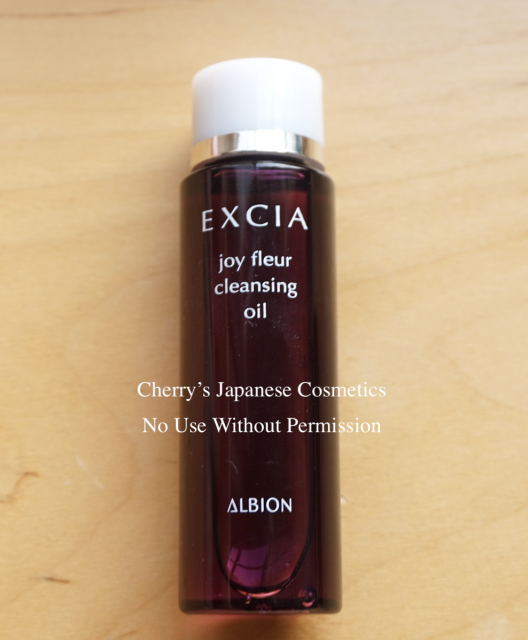 Albion Excia AL Joy Fleur Cleansing Oil is a makeup remover, new for AW2018. Finally I got a trial bottle, and let me share with you how I felt. The dark pink bottle looks as if it is a colored oil, no, it is simply a design. The texture is a little bit sticky oil. There is a scent, but (compared with other Albion products) it is feint. Let me show you how it removes. It removed really easy. I was so satisfied with using this. On my face, I did not feel anything tight or I did not feel it made my face drier. I used face wash after this makeup remover. Joy Fleur itself is not bad, but there are no speciality. In person, this Joy Fleur is too much for my budget for my makeup removers.